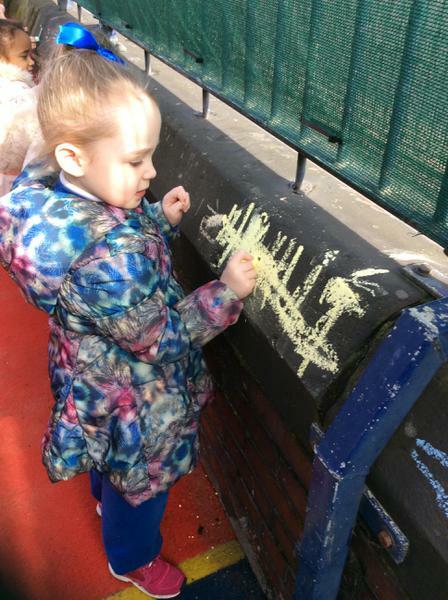 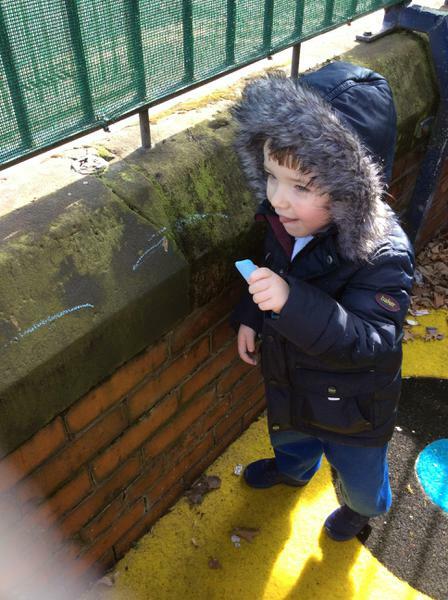 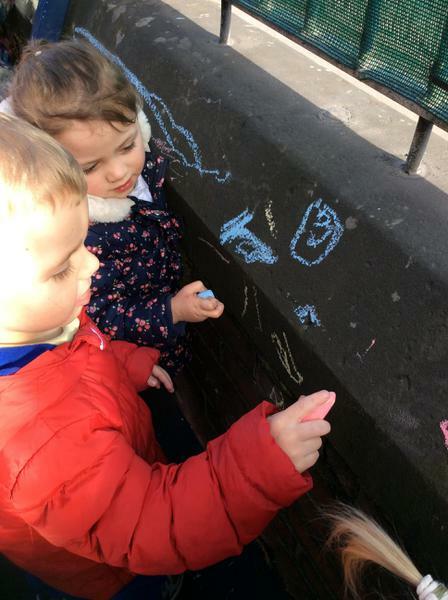 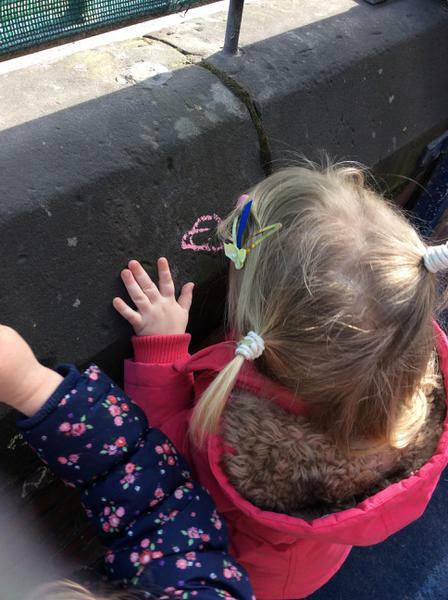 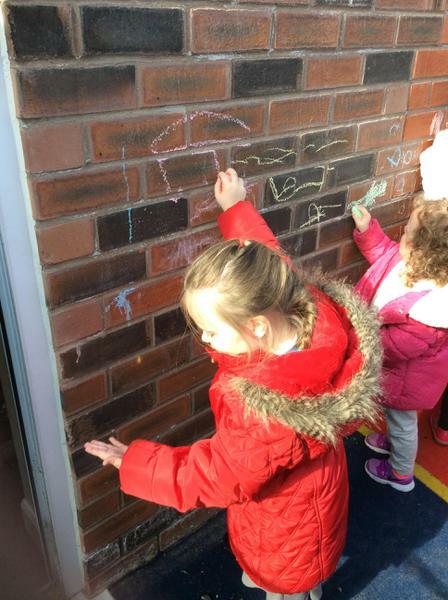 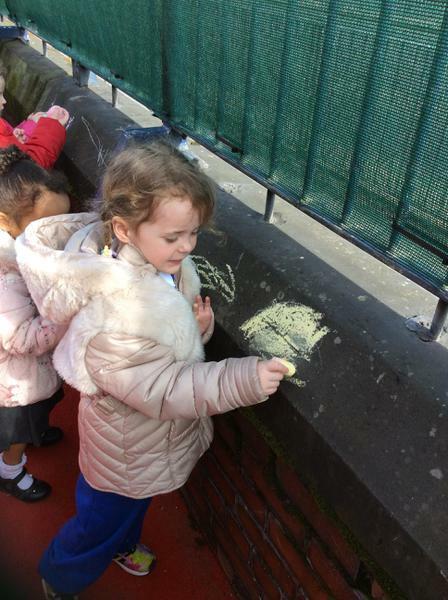 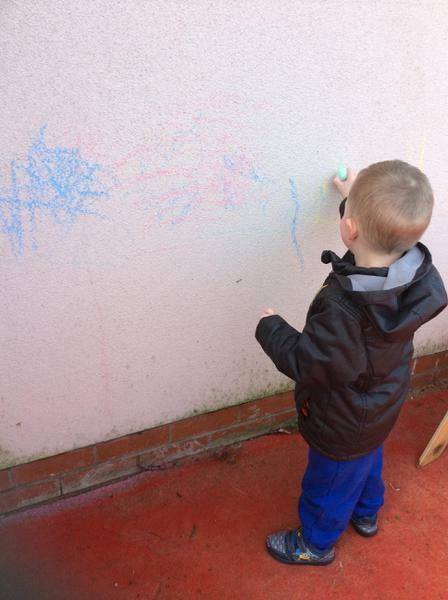 This week we have been drawing pictures outdoors using chalk. 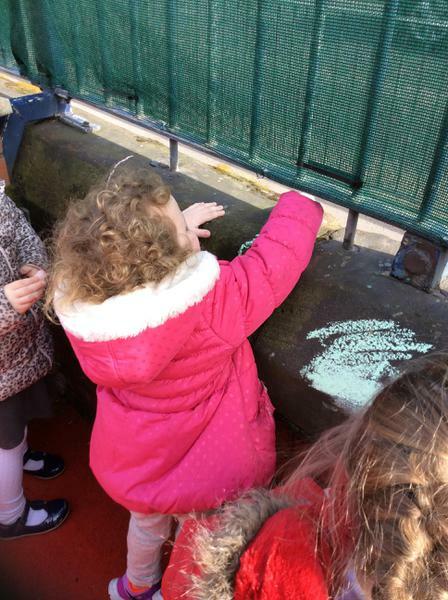 We have been learning about pirates and have listened to many stories about them. 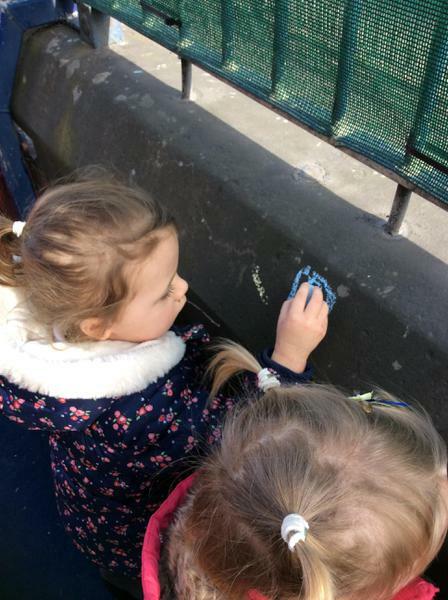 Here you can see our pictures of pirate ships.